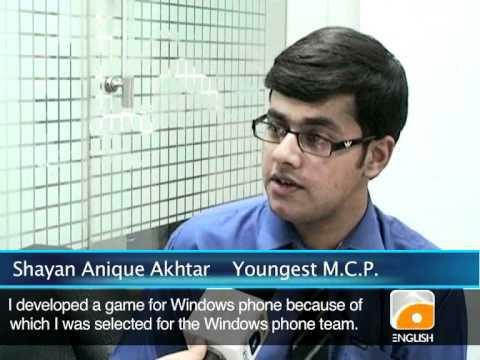 LAHORE: Pakistani student, Shayan Anique Akhtar, has set a world record in Microsoft Professional Certificate programme by achieving 998 marks out of a total of 1000, Geo News reported. His name has been entered in the Guinness Book of World Records for this accomplishment. Shayan is also scheduled to meet Bill Gates in July this year on a special invitation of the Microsoft founder. He is also a Microsoft Certified Professional (MCP), Microsoft Certified Technology Specialist (MCTS) and Microsoft Professional Developer (MPD). DISLIKE – FAKE ! – Take the news off please ! This news turned out to be fake… lets not get carried away with every awesome report that we hear of.